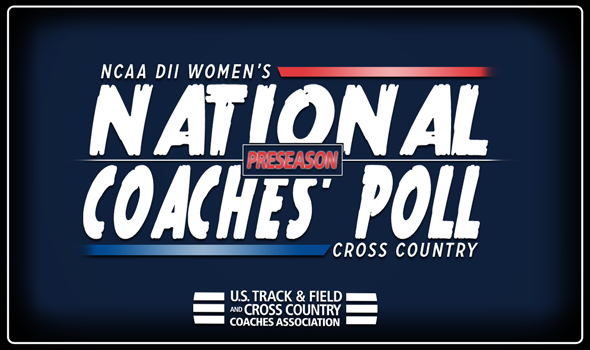 NEW ORLEANS – Looking for its second national title in three years, Adams State was selected as the top team in the NCAA Division II Women’s National Poll released by the U.S. Track & Field and Cross Country Coaches Association on Wednesday. The men’s program was also picked first in the national rankings as the Grizzlies swept both the men’s and women’s 2017 NCAA National Championships for the first time since 2009. Also like the men’s team, the Adams State women collected all eight first place votes in the poll to start the season. The women are loaded with a young and talented core that includes Eillish Flanagan (ninth at NCAAs), Roisin Flanagan (21st), HaLeigh Hunter-Galvan (46th) and Kaylee Bogina (51st). In total the Grizzlies return six of their top seven from a season ago. Adams State has collected 17 national crowns in the program’s 26-year history of competing at the Division II level. Right behind them is No. 2 Grand Valley State who too returns a strong core to take a run at the national crown. The team brings back five of its top seven from last year and picked up NCAA Runner Up Sarah Berger as a transfer to go with top returners Allie Ludge (35th at NCAAs), Gina Patterson (39th) and Megan Caltagirone (48th). The Lakers also brought in a deep and talented freshman class that will make up the rest of the roster. Coming it at No. 3 is Western State who will be looking to give Adams State a run for its money at both the regional and national level. The team finished ninth at NCAAs last year despite redshirting the majority of its roster. This year the Mountaineers return Alicja and Aneta Konieczek (seventh overall at NCAAs) as well as All-American Sophie Seward. This is a talented group to keep an eye on as the back of the roster is very experienced. U-Mary takes the No 4 spot after a historic 2017 season that included a program-best second-place finish at NCAAs. The Marauders return a pair of All-Americans in Jaiden Schuette (17th at NCAAs) and Kate Fox (29th) and get back Bree Erickson (55th) as well. The team also picked up some key transfers and newcomers. Hillsdale comes in the No. 5 slot and returns another very deep and talented team. While they did lose their top athlete the core of the roster is made up of young runners. Key returners include junior Arena Lewis (52nd at NCAAs) and sophomores Christina Sawyer (67th) and Maryssa Depies (73rd). The back end of their roster has experience and they also added three freshman recruits to the mix. No. 6 belongs to Augustana (S.D. ), another program with a really strong core. The Vikings return six of seven from last year’s team that will be led by All-American Makenzie Kelly (25th at NCAAs) and Emily Tromp. The group also gets back Alana Sesow, Nicolete Schmidt and Rebekah Rairdon from redshirt seasons. No. 7 in the rankings is held by Chico State. While the Wildcats did lose their top four from last year’s team they are a loaded bunch with a lot of youngsters looking to make an impact this season. Top returners include Haley Boynton (70th at NCAAs), Nora Pizzella (103rd) and Alexandria Tucker. There is a tie for No. 8 between Alaska Anchorage and Colorado Mines. Despite losing its top athlete, Alaska Anchorage still finds itself in the top-10 as it returns a talented bunch from last year’s group including Zennah Jepchumba (32nd at NCAAs), Emma Chelimo (44th) and Danielle McCormick (45th). Colorado Mines are also in eighth and return a deep roster that finished 11th at last year’s NCAAs. All seven returning runners have compete at the national meet with top contributions expected from Chloe Cook, Brooke Eberle, Megan Wenham and Kara Burton. Taking the last of the top-10 selections is Pittsburg State. The Gorillas will look towards a core of Piper Misse (63rd at NCAAs), Cassidy Westhoff and Ashton Henson in what is a young group. The rest of the rankings are composed of familiar programs as just four teams who were featured in last year’s final poll didn’t make it again this preseason. The No. 11-21 teams are all programs that were a main stay to the rankings in 2017. The biggest program jump from last year’s final poll to this one was Southern Indiana who improved from No. 24 to No. 12 to open the season. Lee (Tenn.) also shot up nine spots going from No. 23 to No. 14 this preseason. The only new programs to the rankings that weren’t featured in last year’s final poll was No. 22 Mount Olive, No. 23 Stonehill, No. 24 Michigan Tech and No. 25 Humboldt State. Also receiving votes was Southwest Baptist, Western Washington, Shippensburg, Embry-Riddle (Fla.) and Roberts Wesleyan. Keep checking throughout the season to see who moves where in the national rankings leading up to the NCAA Division II Cross Country Championships in Pittsburgh, Pennsylvania on December 1.